Exclusive features, including Topic Finder, and a mobile-optimized interface, support and enhance the search experience. 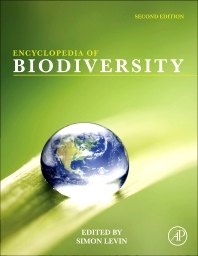 Encyclopedia of Biodiversity (Second Edition) (2013): This 7-volume encyclopedia maintains the reputation of the highly regarded original, presenting the most current information available in this globally crucial area of research and study. Major themes of the work include the evolution of biodiversity, systems for classifying and defining biodiversity, ecological patterns and theories of biodiversity, and an assessment of contemporary patterns and trends in biodiversity. ENGLISH Description: Digitalia Hispánica offers a new way to discover and enjoy online books written in Spanish. This collection is primarily composed of publishers and authors from Spain and the Latin American countries. Subject areas range from literature, art, and history, to science and technology. The collection is especially strong in the humanities and social sciences, religion, and philosophy. Descripción en ESPAÑOL : Digitalia Hispánica ofrece una nueva forma de descubrir y disfrutar de los libros electrónicos en línea escritos en español. Esta colección es principalmente compuesto de editores y autores de España y los países latinoamericanos. Los temas abarcan desde la literatura, el arte y la historia, hasta la ciencia y la tecnología. La colección es especialmente fuerte en humanidades y ciencias sociales, religión y filosofía. Digital Campus by Swank Motion Pictures, Inc. allows students to legally view course-assigned films once they are logged into Blackboard or FAU’s electronic library. Providing digital access to these films allows educators to enhance the distance learning experience. We now have access to numerous documentaries and the top 200 films on Digital Campus. Saving time: Valuable class time can be spent on other activities, since students can view the films outside of class. Convenience: As long as students have Internet access on a PC or Mac, and they have downloaded the necessary free software, students can quickly and easily view assigned films from wherever they are located. Access on demand: Having to wait to obtain a copy of a checked-out DVD is no longer a concern with Digital Campus titles. Faculty can fill out a form any time to request access to a film that is provided by Digital Campus. Simultaneous use: Once access to the film has been provided, all students enrolled in the course can simultaneously view it. Use of Digital Campus is limited to current FAU faculty, staff, and students. Federal Response to Radicalism in the 1960s is a full-text database of the Federal Bureau of Investigation’s previously classified files on prominent radicals and radical organizations from 1956 to 1971. It sheds light on internal organization, personnel, and activities of some of the most prominent American radical groups and their movements to change American government and society. This resource illuminates the enduring conflict in American history between the need of society to protect basic freedoms and the equally legitimate need to protect itself from genuine threats to its security and existence. FBI File on Muslim Mosque, Inc.
HaPI is an Essential Collection of Information on Behavioral Measurement Instruments. Encompassing nearly 190,000 records, HaPI is comprised of bibliographic information for peer-reviewed scholarly journals, books, technical reports, and test publishers’ catalogs. The essential resource for researchers, students, clinicians and more, HaPI features coverage of more than 80 unique behavioral measurement tools and instruments which are used across professions and disciplines, including nursing, public health, psychology, social work, communication, sociology, and organizational behavior or human resources. Updated on a quarterly basis, HaPI is also continuously adding new records, further supplementing researchers with up-to-date, high-quality information. Columbia International Affairs Online (CIAO) is an online resource of documents and articles devoted to research, analysis, and scholarship on international politics and related fields, including security studies, global finance, diplomatic practice, humanitarian law, global governance, development studies, and environmental studies. Royal Society of Chemistry (RSC) Gold Package is a premium online package made up of 36 chemical science journals, an eBook series issue in Environmental Science & Technology, Backfile Annual Reports Sections A, B and C (1967 – 2013), Education in Chemistry Magazine, RSC Advances and Chemical Science open access journals, and Chemistry Education Research and Practice. 60 new broadsides have been added to the SWEAT collection for the Jaffe Center for Book Arts. 512 publications added Harbor Branch Oceanographic Institute (HBOI) Faculty Papers collection. 40 reports added to the Harbor Branch Oceanographic Institute (HBOI) Technical Reports collection. 105 new pieces of digitized sheet music were added to the Sheet Music collection. 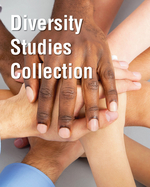 The Digital Library has completed the Political, Rights Issues, and Social Movements (PRISM) collection, a 6 year long collaborative project with the University of Central Florida, now finished with the final addition of 642 pamphlets. For the 2015-2016 academic year, 256 graduate student manuscripts have been added to the Electronic Theses and Dissertations collection. Since October 2015 the Digital Library has digitized and made openly accessible more than 600 retropsective print theses and dissertations now available in the Legacy ETD collection. Florida Atlantic University’s Undergraduate and Graduate Research collections showcases 150 newly added abstracts and posters from 2015 research day events. Announcing two new College of Arts and Letters faculty collections: more than 60 hours of video lectures have been added to the Center for Body, Mind, and Culture collection and in progress is the Generations: LGBT oral histories collection. The Center for Body, Mind and Culture contains video lectures and workshops conducted at a host of international locations by Dr. Shusterman, Director of the Center for Body, Mind, and Culture. Generations is an oral histories project led by Dr. Fred Fejes of the Peace, Justice, Human Rights Initiative and School of Multimedia Studies. These collections are brought to you by the dedicated work of the Digital Library team. This update to RefWorks provides a new way to collect, manage and organize research papers and documents. You can read annotate, organize, and cite your research, as well as collaborate with friends and colleagues by sharing collections. RefWorks’ drag and drop capability along with smart document recognition makes it easy and fast to upload documents and bibliographic metadata into your library, and the Save to RefWorks feature allows you to capture research from websites with the click of a button. The new version of RefWorks also includes a more robust citation style editor, with the ability to choose from over 1,000 citation styles and edit each style to fit your exact needs. FAU Libraries: RefWorks – New!